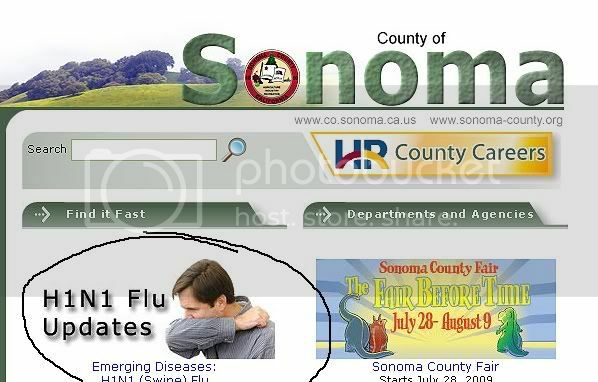 Either the guy is checking his body odor, hanging his head in shame, OR PROTECTING HIMSELF FROM SWINE FLU. Ok, so I can't tell if you are joking or if you really don't know what this guy is doing. I'm kind of lame like that. But just in case...let me put on my teacher hat...he's sneezing in the crook of his elbow. But this picture is silly because that won't protect *him* from any germs but is his way of protecting others. If you sneeze in your hands (since most people don't rush off and wash them) you transfer your germs to everything you touch. So we teach small kids to sneeze into their elbows to lessen the spread of germs. It just struck me as a funny image to use for virus protection. Plus wouldn't it have been better to show someone, you know, washing their hands? That would be more protection since you don't need to shield yourself from your own sneezes. And now I know you're not being serious on this one, but I do feel that sneezing in your elbow can help, maybe not with his virus since I am clueless about it, but for the common cold it can help cut down the spread. At least it seems like it would, no hard data over here. Is swine flu big where you live? No one talks about it down here. Cleanliness is good. Washing hands is good. I tend to sneeze onto a tissue (if available) or my arm (ALWAYS AVAILABLE)...but then I have a sneeze on my arm which forces me to wash it. What if you have long sleeves?! Ewwwww. I think he is practicing his kissing techniques. Or failing at making armpit farting noises. But your arm isn't normally touching doorknobs and shaking hands and touching your faces, etc. i guess what i'm asking is whats to stop the germs from migrating that whole foot from your elbow to your hand? If you touch that part of your arm with your hand then you would transfer the germs to your hand and thento anything you touch with that hand. But I don't think the germs can become airborne again once they are "stuck" on something, if that made any sense, since they only fly around in the air on water droplets when you breath or sneeze.